March 12, 2015—Baltimore, Maryland. The Maryland Distillers Guild has hired Kevin Atticks as its executive director, and his firm—Grow & Fortify—to manage the organization, cultivate the industry and achieve new legislative and promotional successes. The Maryland Distillers Guild was developed to encourage and shape future opportunities for distillers, and to foster the jobs, agriculture and tourism that the industry will yield. Atticks launched Grow & Fortify—a management firm developed to assist businesses and create and strengthen organizations to support them. He has led the Maryland Wineries Association (MWA) since 2002, where his strategic leadership of the organization helped grow the industry from 15 to over 70 wineries, oversaw major revisions to state and county alcohol laws and created new events to grow market awareness of local wines. “Having Kevin Atticks on our team is such an amazing opportunity to start the guild strong, his experience, reputation, and passion for Maryland business and our industry is unparalleled, and as president I couldn’t imagine leading the guild without him,” Windon notes. The Maryland Distillers Guild joins the Maryland Wineries Association and Brewers Association of Maryland as clients of the firm. 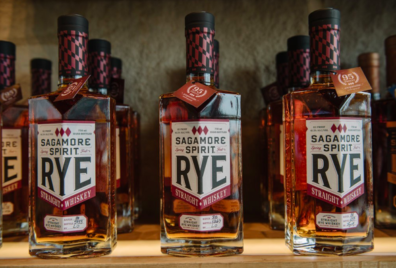 The Maryland Distillers Guild has 11 members, and represents both licensed distilleries and those in the startup phase throughout the state. The Maryland Distillers Guild is one of only a few distilling guilds in the nation. The organization was established to advance the distilling in Maryland through advocacy and marketing. Jaime Windon—of Lyon Distilling Company in St. Michaels—is the founding president of the guild. Jaime Windon, Lyon Distilling Co.